First of all let me tell you something about EXIF data in case you didn't know what it is already. 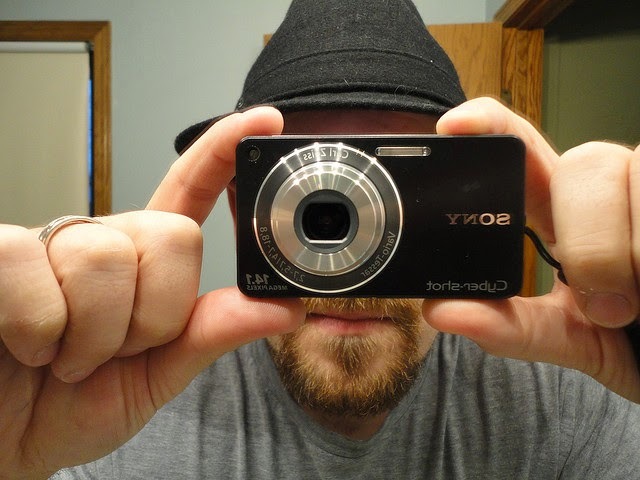 Date & time and camera settings are saved by your digital camera in photos that you capture. This stored data is called EXIF data. Camera settings include shutter speed, focal length, exposure, white balance, if flash was used or not and much more like these. Some cameras including your Smartphone can add geo tags to the photos which can be used to view where those photos were captured (Geo tags are also stored as EXIF data). You might also like: How to add geo tags to the images? Why to remove this information? You might want to share your photos with someone or on the web but you don't wanna share where you captured those photos, which camera you used to capture them or any other information that you think is sensitive and don't want to share. There are lots of tools to remove EXIF data from your images but I found a little tool that you don't have to install to work with. It is exiferaser. You can download it from exiferaser.com. Just put all those images in a folder whose EXIF data you want to remove. Open exiferaser and click on select button to select the folder. 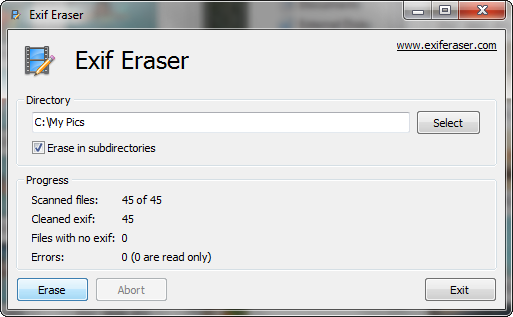 After selecting the folder just click on erase and all of the EXIF data from images in that folder'll be removed. How to view EXIF data? In windows right click on some image and click on the properties. From there you can click on the details tab to see EXIF data details. You can use image viewers like picasa to read this information from the image.